for Elementary, Middle & High School aged students. 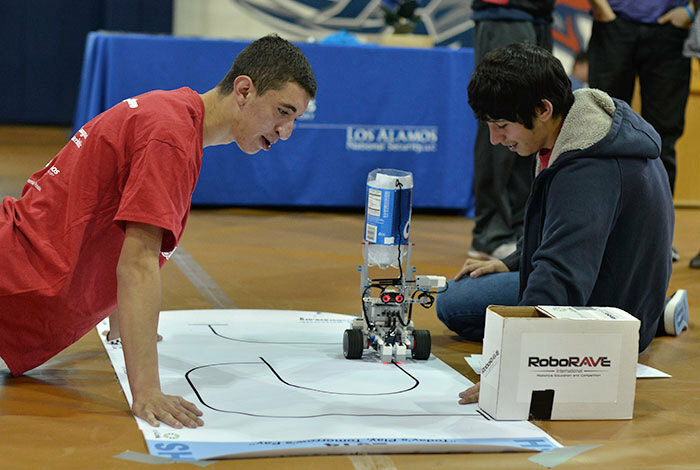 RoboRAVE International is now New Mexico’s largest K-16 robotics competition. With special thanks to Inquiry Facilitators and Los Alamos National Laboratory. R.A.V.E.- ing about robots since 2001! 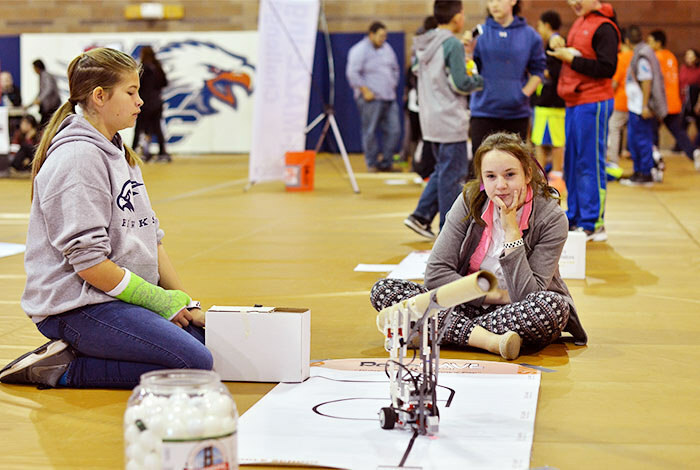 "In 2001, twenty-five high school students and three teachers came together to compete in the first New Mexico RoboRAVE. Smokey Trujillo, a long time teacher at Santa Fe Indian School and with us since the 1st year, coined the acronym, R.A.V.E., for Robots Are Very Educational. In 2007 the competition became a program of Inquiry Facilitators Inc.,a nonprofit founded by Russ Fisher-Ives, a former math and physics teacher and one of the competition’s three founders. Since 2007, IF, Inc. has provided over three hundred robotics workshops for students and teachers in every corner of New Mexico. Teams from other countries (Mexico, lead by Alejandro Martinez and Evangelina Sanchez from Juarez) began competing in 2004, and the name was changed shortly after from NM RoboRAVE to RoboRAVE International. As others learned about RoboRAVE International the requests came in to hold the competition in other countries. The first RoboRAVE Czech Republic was held in 2012; RoboRAVE Colombia premiered in October 2013, and RoboRAVE China and RoboRAVE Mexico were held in February and June 2014, respectively.We now have: RoboRAVE Latin America (Colombia), RoboRAVE Nigeria, RoboRAVE Asia, RoboRAVE Guadalajara, RoboRAVE Canada, RoboRAVE Iberia, RoboRAVE India, and RoboRAVE Germany! In 2012, a new division for “Big Kids,” (i.e., anyone beyond high school) was opened. 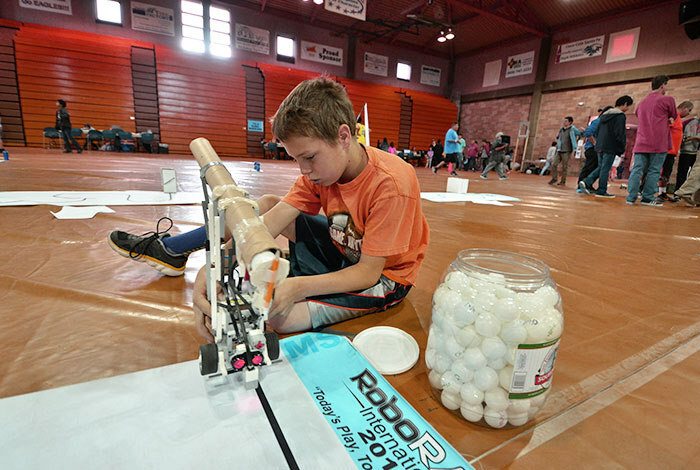 Each year, we provide robot challenges (competitions) that range from introductory to advanced thus providing an opportunity for every age and every level. In 2014, IF Inc. held it’s first Robot Academy, funded by Intel, simultaneously for adults to work as teams to learn about robotics; programming for our robot challenges; spend the whole day at the event for 1st hand knowledge; and develop a plan to implement robotics back home.